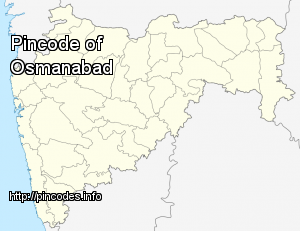 Osmanabad �pronunciation� (transliterated in Marathi as Usmanabad) is a city and a municipal council in Osmanabad district in the Indian state of Maharashtra. 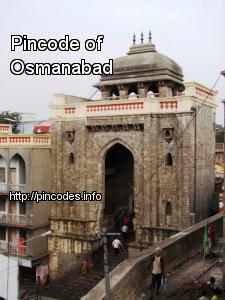 The city Osmanabad actually derives its name from Nizam Osman Ali, the last ruler of Hyderabad, of which the region was a part till 1947 and Osmanabad's history dates way back to the era of the Ramayana where Lord Rama is said to have spent some of his exile in parts of Osmanabad. As per historical evidences, the district was ruled by the Mauryas, Satavahanas, Rashtrakutas, and Yadavas. In early centuries the city belonged to the Hindu Chalukyas and Devagiri Yadavas, but later became a part of the Bahmani and Bijapur kingdoms. With the opposition parties taking on the Shiv Sena over Osmanabad MP Ravindra Gaikwad`s unwarranted behaviour against an Air India staffer, party leader Manisha Kayande on Saturday said they do not subscribe to such attitude. Actors Nana Patekar and Makrand Anaspure distributed cheques of financial aid to as many as 113 families of farmers from Latur and Osmanabad districts of Marathwada, who have committed suicides, owing to drought and indebtedness.